Internet is a considered a basic necessity of life. And if the internet’s speed is low, it can ruin your whole day. Hence in this article we will discuss some tweaks to increase internet speed in Windows OS. These tweaks are very easy and can be done within 15 minutes. There are a number of tweaks out there that will enable you to maximize your system’s performance and likewise, there are lots of things you can do to tweak your Internet connection to Increase Internet speed. Hence we have described some tweaks that will increase internet speed by over 30%. Steps to Increase Internet Speed on Windows. 1.) log on as Administrator in your Windows. 2.) Go to start -then run – and type :gpedit.msc . (you can also open RUN With “Windows+R” buttons). 3. )Now expand “local computer policy” . 4.) 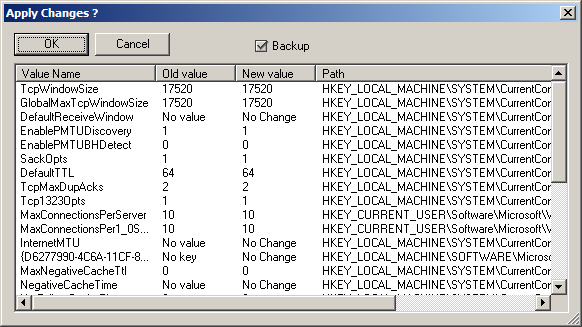 Then expand “administrative templates” (under computer configuration). 5.) Then expand “network branch” . 6.) Highlight the “QoS Packet Scheduler”. 7.) On right window double click “limit reservable bandwidth” . You’re done. It would be a good idea to restart your Windows after this. Under the General Settings tab, just drag the slider to match your connection’s download speed. Then, at the bottom of the same window, select the “Optimal Settings” radio button and click “Apply Changes”. You will now be looking at a window like the one below. Make sure that the “Backup” checkbox is ticked and then click OK.
All that’s left is to reboot your system, in order to apply the changes. You will be prompted to do so. Your system will be restarted now. If not then do it manually. Once your system has rebooted, surf around for a while. If for whatever reason you feel your connection has been affected negatively, then fear not, for the changes you made can be undone. 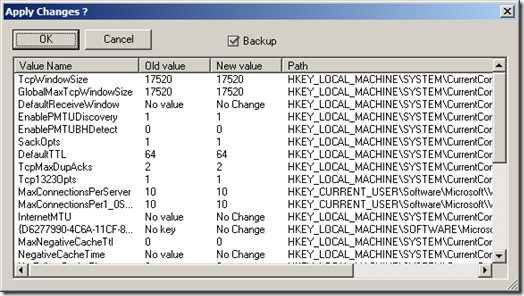 Start SG TCP Optimizer, click File and choose restore backed up settings. This will bring up a dialog box where you can navigate to where you downloaded the program. There, you will find a file with the extension .spg with a filename containing the date. You can check your Internet speed by heading to speedtest.net. Here you will get the exact results and the performance of your Internet service provider. This is very reliable speed test website and is used by many users. You may have check your internet speed. We hope that you would have gained around 30% more speed. If not, then comment below. We will help you in all possible ways.